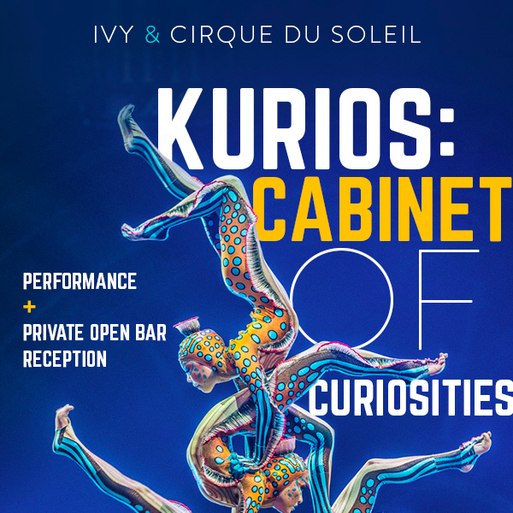 Join us for Cirque du Soleil’s newest creation “Kurios: Cabinet of Curiosities,” for an evening of spectacle and intrigue like no other, featuring complimentary cocktails with a great group of IVY members! A machine that defies the laws of time, its mysterious 19th-century inventor, and the magic of Cirque du Soleil—all this and more in an exciting new performance with the very best acrobatics and stunts in the world. We’ll gather for a complimentary open bar cocktail reception in the Private Lounge before the show, and then head back for more complimentary drinks and conversation during intermission. This is a great way to experience the very best of Cirque du Soleil in a special night with your IVY community!